What transpires when an industry or business is smacked with increasing [overhead] costs to fashion and market its products? What naturally follows is that the (overall) product expense is passed on to consumers. Remember the aka Obama (deceptive) claim that you could keep your existing medical insurance and doctor? Remember his lying claim that costs for the American consumer would be appreciably reduced? Remember other sordid claims before aka Obama was allowed to unilaterally tinker some 30 times plus, adjusting the [already] passed legislation? Reality has insurance companies taxed by the federal government vis-a-vis Obamacare. Those insurance companies, in turn, pass on the added [overhead] costs of doing business to their customers – the American people. Further reality has it, that Americans can’t afford Obamacare. It is not only bankrupting personal pocketbooks but much of the U.S. Treasury. Divulging recent reported news, has aka Obama consorting with Jonathan Gruber to screw-over Americans with the ill-conceived Obamacare [hidden tax — aka, higher insurance premiums]. Note the following Independent Sentinel linked article with videos, which explains aka Obama’s Obamacare snake oil, sold to and forced upon U.S. government, despite the fact that polling showed the vast majority of Americans didn’t want it. 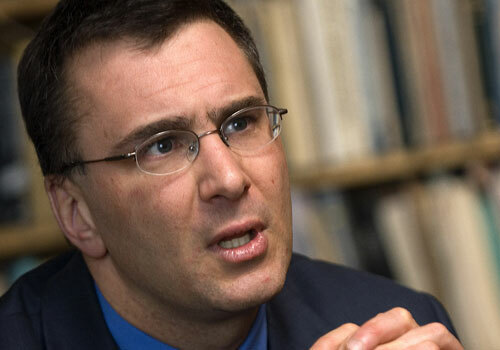 When Obamacare architect Jonathan Gruber spoke at Washington University in St. Louis, he called Americans stupid in front of university students. Aside from his extremely poor role modeling, he proudly broadcast his plot to inflict the Cadillac tax on Americans. Gruber is a believer – in high taxation. He saw something not taxed – health insurance – and immediately decided that the government has the right to tax it. He thinks that because people resisted, they are stupid. ………..Not only did he think it was okay to twist the truth about the tax, in 2009 he plotted it out with an agreeable Barack Obama in the room. Frontline posted a video of Gruber pontificating about his meeting with Obama where they discussed making the Cadillac tax palatable using deceit (watch a clip from the video below)………. ……..The White House denied the meeting but Gruber is on the visitor’s list. People knew it was a tax but Democrats didn’t care and went along with the lie because they wanted the bill. Republicans knew but no one would listen to them. They weren’t even allowed in the room when the bill was written. That alone was a national disgrace……. Wicked criminal ID fraud aka Obama and his close-knit handlers aren’t willy-nilly as to their malevolent machinations for this United States. They are the modern-day Machavillian progenitors of those who have always hated America, its non-Communistic, free-enterprise — and especially traditional, patriotic and Constitutional America. Shall we also include, “‘Christian’ America,” added to the socialist hate mongering list? …….“Now, the problem is, it’s a political nightmare … and people say, ‘No, you can’t tax my benefits.’ So what we did a lot in that room was talk about, well, how could we make this work?” Gruber said. “And Obama was like, ‘Well, you know’ — I mean, he is really a realistic guy. He is like, ‘Look, I can’t just do this.’ He said: ‘It is just not going to happen politically. The bill will not pass. How do we manage to get there through phases and other things?’ And we talked about it. And he was just very interested in that topic,” Gruber continued. If the new Republican majority in Congress is worth anything, it will unleash its legal and Constitutional “power of the [financial] purse” to de-fund Obama’s extortionist machinations. Also, are the latest admissions of Johnathan Gruber his intended means to separate himself from aka Obama’s cabal? Is he giving his “best shot” to insulate himself from future prosecution, having been so intimately involved with aka Obama’s corrupted cabal government? Americans are wearied with devil’s disciple, White House criminal ID fraud, aka Obama. His perpetual lies have gotten old. Decent, honest, and intelligent Americans would just as well witness this snake oil salesman and his wicked socialist cabal, brought to justice and eventually dangling from capitalistic American-made ropes. Whether aka Obama encounters temporal justice and punishment for all his sins against Creator God and political sins against traditional, patriotic and Constitutional America, — that, makes no eternal difference. Divine reality will surely enfold. Criminal aka Obama in the foreseeable hereafter will rendezvous with his spiritual damnation father. Time is swiftly evaporating for the United States usurper of the American Presidency. Barring genuine repentance on his part, he will [perdition] pay for all of his commission / omission sins against holy Creator God and his political and personal sins against his fellowman. Next Next post: Gruber’s Gloating: Will Spilling The Beans Be Catastrophic For Obamacare? The American Reinvestment and recover act is a scam. U. S. Surgeon General Regina Benjamin Warns: Biochips Hazardous to Your Health: Warning, biochips may cause behavioral changes and high suicide rates. State Attorney Generals are to revoke the licenses of doctors and dentists that implant chips in patients. Chip used illegally for GPS, tracking, organized crime, communication and torture. Former Defense Advanced Research Projects Agency (DARPA) director and now Google Executive, Regina E. Dugan, has unveiled a super small, ingestible microchip that we can all be expected to swallow by 2017. “A means of uthentication,” she calls it, also called an electronic tattoo, which takes NSA spying to whole new levels. She talks of the ‘mechanical mismatch problem between machines and humans,’ and specifically targets 10 – 20 year olds in her rant about the wonderful qualities of this new technology that can stretch in the human body and still be functional. Hailed as a ‘critical shift for research and medicine,’ these biochips would not only allow full access to insurance companies and government agencies to our pharmaceutical med-taking compliancy (or lack thereof), but also a host of other aspects of our lives which are truly none of their business, and certainly an extension of the removal of our freedoms and rights.The ARRA authorizes payments to the states in an effort to encourage Medicaid Providers to adopt and use “certified EHR technology” aka biochips. ARRA will match $5 for every $1 a state provides. Hospitals are paid $2 million to create “crisis tabilization wards” (Gitmo’s) where state police torture people – even unto death. They stopped my heart 90 times in 6 hours with the active denial system. Virginia state police have murdered so many already and admit to it! Mary E. Schloendorff, v. The Society of New York Hospital 105 N. E. 92, 93 (N. Y. 1914) Justice Cardozo states, “every human being of adult years and sound mind has a right to determine what shall be done with his own body; and a surgeon who performs an operation without his patient’s consent, commits an assault, for which he is liable in damages. (Pratt v Davis, 224 Ill. 300; Mohr v Williams, 95 Minn. 261.) This case precedent requires police to falsely arrest you or kidnap you and call you a mental health patient. You can also be forced to have a biochip if you have an infectious disease – like Eboli. Coalition for Justice vs City of Hampton settled for removal of biochip and $500,000. Come to Virginia and get your money! Thank you for your comment’s content. But, I don’t have time to edit your comment, by categorizing it into proper paragraphs. Please take your comment and edit it with paragraph blocks. If you do that, I’m convinced that Moralmatters readers will actually thoughtfully read it. If you do what I suggested, I will then remove the one block (irritating) blur. P.S. Remember that paragraphs are part and parcel of correct grammatical construction? They aid both the author and reader, organization of the written script.